For some, music is a hobby, a gift, a career. For others it goes deeper and is part of them, like DNA. Such is the case for Jennifer Holm, a Nashville-based singer songwriter. Growing up in a musical family and being surrounded and mentored by industry professionals nurtured in her a powerful artistic presence – vocally, musically, and lyrically. Holm began writing and playing guitar at 13, session singing at 17, and has been a featured vocalist on albums for artists such as Paul Baloche and Tedashii, and contributed songs to worship albums for The Village Church. Much of her career has been in support of other artists, though she continued writing – creating libraries of notebooks with songs about love, loss, true stories and fictional ones; songs about life. 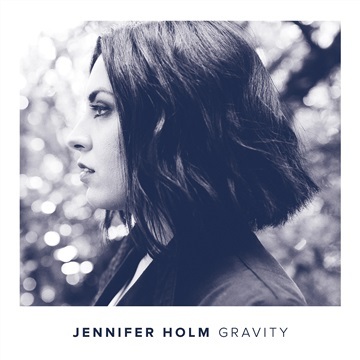 In early 2018, Holm and her family moved from vibrant Denton, Texas to Nashville, TN after recording Gravity, her latest release. Funded by a Kickstarter campaign and produced and engineered by Kenny Davis (an artist in his own right), the project features a roster of impressive and noteworthy musicians: Davis (Jacob Whitesides, Josh Kelley, Rhett Walker Band), Jeff Holm (Cory Morrow, Jimmy Needham, Ryan Cabrera), Charlie Lowell (Jars of Clay), Mark Trussell (Lady Antebellum, Blake Shelton, Jacob Whitesides), and David Baloche (Brilliance, Glee, Paul Baloche). There is plenty more to come from Jennifer - this new EP is just the beginning.